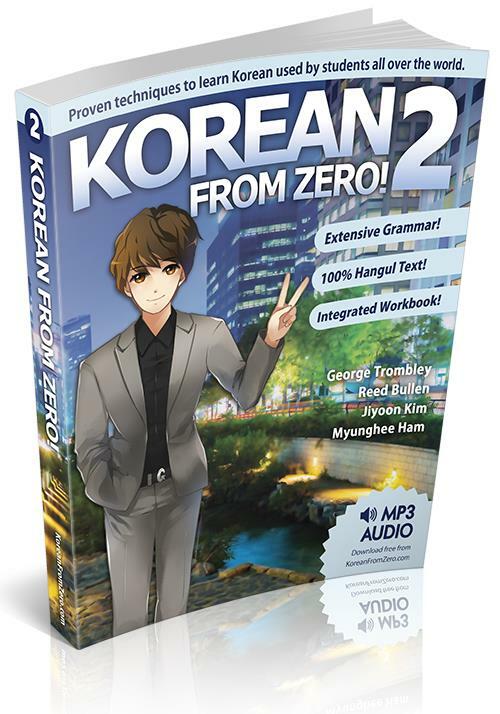 Korean From Zero is a Korean language book series built on Korean grammar that makes sense. Each book is crafted page by page, lessons by lesson to have relevant Korean conversation and sentence structure patterns that enhance the Korean learner's ability to speak Korean faster and understand the small nuances of everyday Korean. 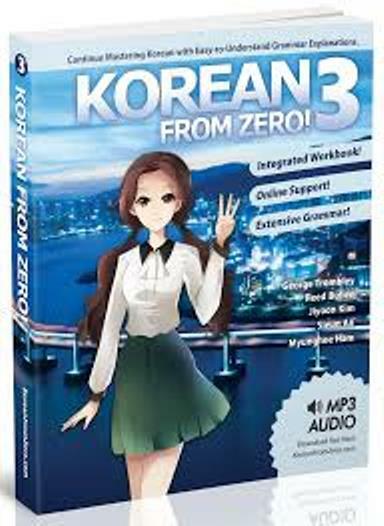 The Korean From Zero Book 1 PDF and online course 1, 2, and 3 are 100% free to download & access from the official website. For the official printed books, you can order at popular bookstores such as Book Depository (free shopping worldwide). 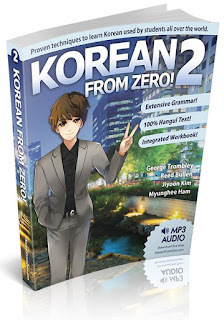 Korean From ZERO Book 1 (PDF + Audio) is designed to be an interactive workbook where you can take personal notes, add new words or phrases of your own, and develop your writing skills from hopeless/crazy/illegible to expert-level. In the Korean From ZERO Book 2 (PDF + Audio), we assume that you have already completed the first book in the series for beginners. We will build on the concepts taught in the first book and will also often refer to sections from the first book. It is by no means required that you have the first book in your possession. 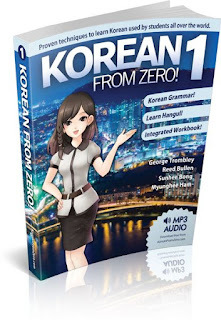 In the Korean From ZERO Book 3 (PDF + Audio), we assume that you have already completed the first and second book in the series for beginners. We will build on the concepts taught in the first two books and will also often refer to sections from them. It is by no means required that you have the first book in your possession. Here all 3 books in the series are collected and provided for free. The book 1 is the official book taken for the official website. The book 2 & 3 are unofficial books created by Korean-Topik with contents taken from the free official online course. Korean-Topik has made an effort to correct some typo errors and added some missing information in the unofficial book. Enjoy! How i download korean from 0 ? You're rock. Thank for sharing. The link is still alive. Please read FAQs to learn how to get the book. Download links of KFZ + are die. Can you reupload ? Thanks so much. The link is still alive and working well. Please leave us a message on our facebook page for support. Is the workbook in is as well? The exercises are really useful but I didn't see them? No, the workbook is not included in the book.